Employees spend a third of their day at their workplace, and employers are liable for their health and safety. Poor air quality can lead to sickness and absences which can affect employee satisfaction and a company's bottom line. People who work in well-ventilated offices with below-average levels of indoor pollutants and carbon dioxide (CO2) have significantly higher cognitive functioning scores than those who work in offices with typical levels. Promote your clean air advantage to assure clients and staff of a desirable environment. Avoid complaints and lawsuits provoked by poor air quality, and improve recruiting and retaining senior talent. Even a slightly elevated CO2 level can have significant impacts on how well people work. Measure and control the pollutants that most affect employees’ comfort and productivity, to boost morale and help employees be their best at work. 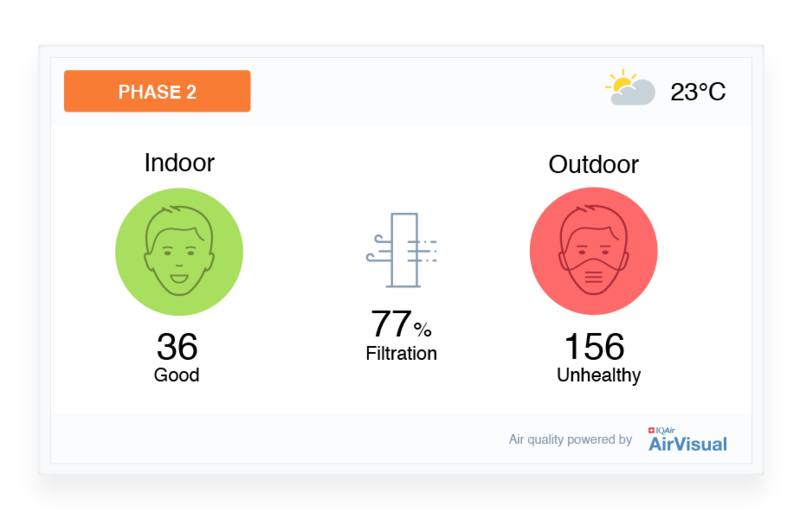 Optimize your building’s air quality system, by ensuring that particulate pollution, ventilation, temperature & humidity are being regulated, & filters replaced only in the areas and times that are effective. 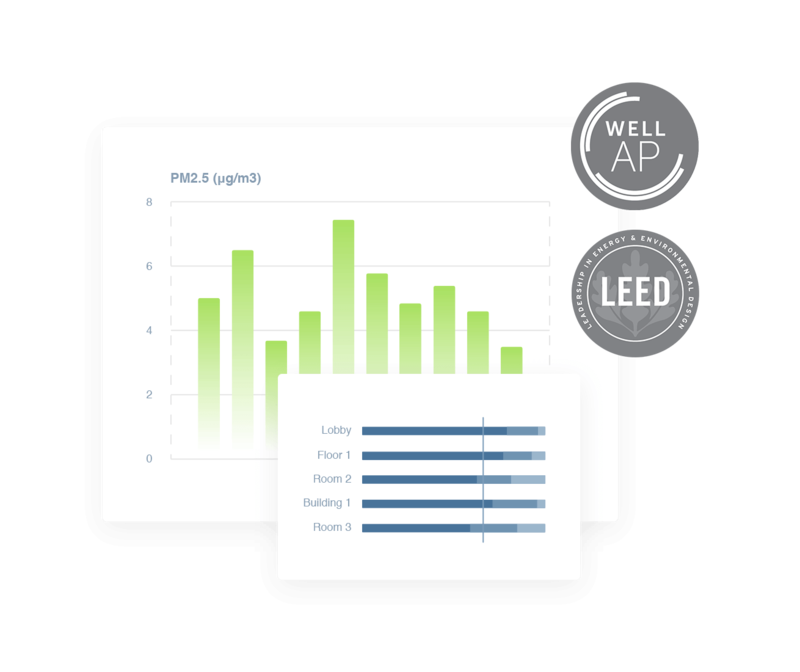 AirVisual Enterprise is designed to support LEED or WELL green building certification, which helps to grow building's value, sustainability and enhance your company reputation. Get the whole building involved in understanding their air quality. 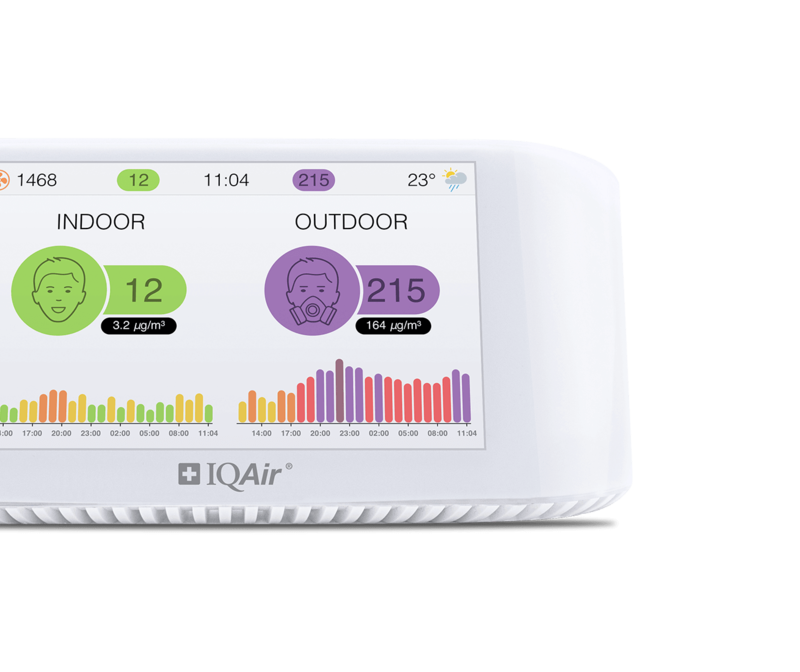 Display air quality protocol and live readings with clear colors and icons, to align everyone to understand and act on improving their environment. 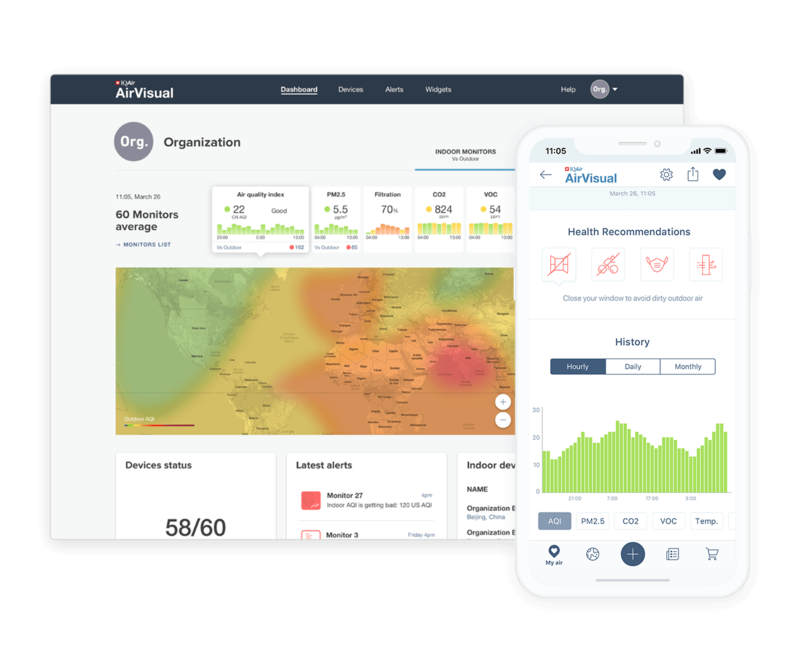 Show off your commitment to a healthy environment, and give peace of mind to employees and other stakeholders by displaying real-time data on websites, social networks and 3rd party apps.